Thomas Soldati was born in 1996 in Vercorin, Switzerland. He studied percussion at Conservatory in Sion with Didier Métrailler. 2nd prize in the Swiss Solo Youth Music Competition, as well as the NEC Prize for the best interpretation of a contemporary work in Geneva 2010. 3rd prize in the International Marimba Competition in Nuremberg, Germany (Marimba Festiva) 2012. 3rd prize in the International Competition in Italy « Giornate della Percussione » 2012 (marimba). 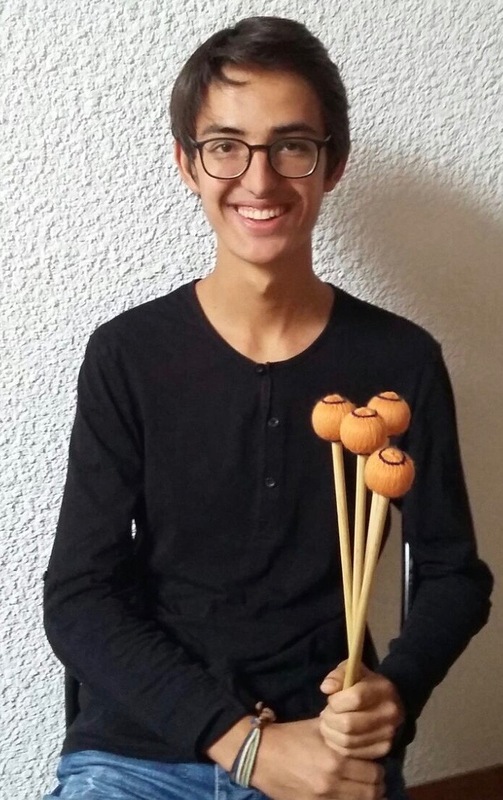 1st prize in the 4th Competition for Young Soloists « Orchestre des Trois Chêne » (2015) in Geneva. Thomas participated in master classes and academy with artists such as Keiko Abe, Katarzyna Mycka, Emmanuel Séjourné, Peter Sadlo, Jean Geoffroy, Bogdan Bacanu.